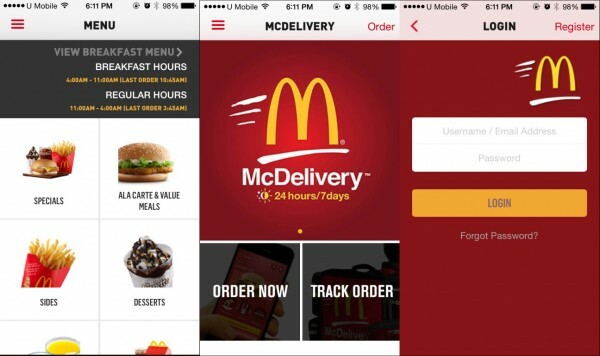 McDonald’s, one of the most prominent fast food chains in Malaysia now has an app to handle delivery orders. McDonald’s McDelivery app is ambitious in fulfilling their customers’ hungry desires, but it seems the app is off to a rocky start. The McDelivery Malaysia app comes in two languages – English and Bahasa Melayu, and has several features built-in. The app’s user interface is fairly simple and straightforward, where the main page lets customers make an order, then track where the order is. From the sidebar, customers can browse the menu, login or register for an account, make an order and even manage their profile and delivery addresses. 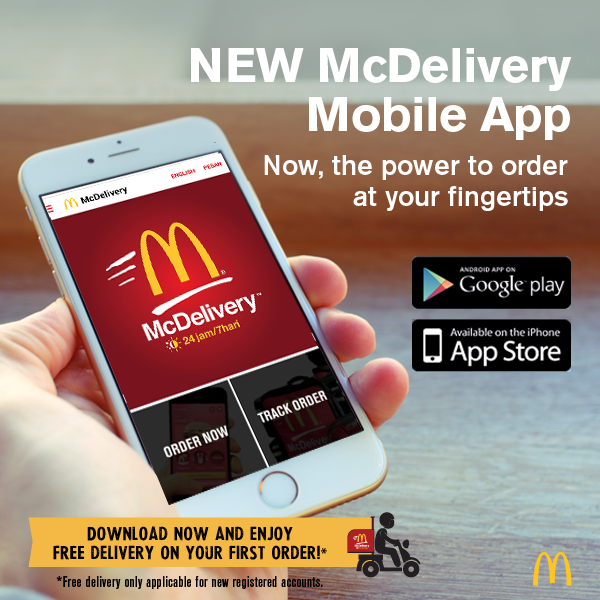 However, McDonald’s somehow did not realise that the announcement photo on its Facebook page is inadvertently directing Malaysian consumers to download the Singaporean McDelivery app instead. 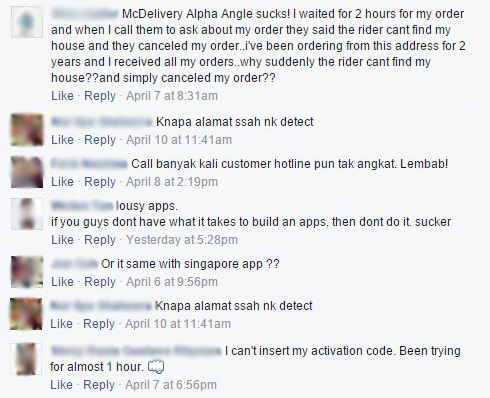 This is because the ‘McDelivery‘ app actually caters to Singaporean customers while Malaysian patrons should be using the ‘McDelivery Malaysia’ app instead. Besides the confusion with the app’s name, other problems customers are facing while using the app include difficulty in setting the delivery address, problems with registration, slow service, as well as no response from the customer hotline. That being said, it is likely that Malaysians will still be trying the app out given the popularity of McDonald’s in Malaysia. To sweeten the deal, customers with new registered accounts will get to enjoy free delivery for their first order. In terms of payment, the minimum order of RM18 still applies and only cash terms or cash vouchers will be accepted. The McDonald’s Malaysia app is now available on both the Google Play Store and Apple App Store, but the Windows Phone version is nowhere to be found.